This program for mathematically talented students enrolled in 4th and 5th grades started in 2008. Mathletics centers on problem solving, alternating hands-on lessons with paper and pencil work. Mathletics reviews basic problem solving techniques, tackling both multi-step word problems and more challenging “out of the box” thinking problems. 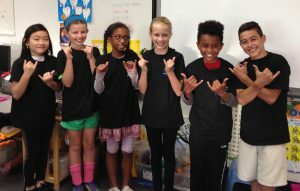 Following an entrance exam in the spring, and starting in the fall, one hundred 4th and 5th grade students from Morgan Hill’s elementary schools are invited to attend an 8 week after school class at a centralized location. Because space is limited, students are selected based on their standardized math scores (they should be “advanced”), their score on the entrance exam, their behavior and their ability to commit to attending the fall program. In 2019, students will meet on Tuesdays at Barrett Elementary School from 4:00 – 5:15 pm, from September 3 through October 22. May 13, Monday, 7:00-8:00 pm, Barrett Elementary School, cafeteria, 895 Barrett Ave.
May 20, Monday, 7:00-8:00 pm, Barrett Elementary School, cafeteria, 895 Barrett Ave. Note that the last 20 minutes of each tryout session will be an information session for the parent and their student. Current third graders or fourth graders who received a letter inviting them to tryout, please register by clicking here: Try out registration. Current fourth graders who participated in the Mathletics program in fall of 2018, please register by clicking here: 4th grade re-enrollment. Current fifth graders, soon to be sixth graders, please see MathCounts6 section below. If you have any questions, please email Morgan Hill Math program director Kelley Barnes: note4kel@yahoo.com. This program for mathematically talented students enrolled in 6th grade will expose students to new problem solving methods. The MathCounts6 program uses word problems to develop new skills in the areas of probability, combinatorics, statistics and number theory. Students also continue to focus on problem solving techniques, including identifying information necessary to solve a problem. 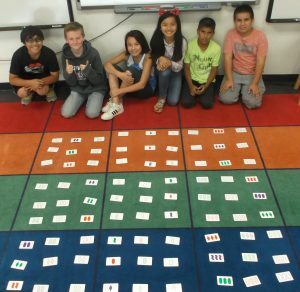 This increased mathematical breadth and depth provides students with a foundation for the middle school MATHCOUNTS program. In 2019 the classes will meet at Barrett Elementary School from 4-5 pm on Thursdays, from September 5th to October 24th. Note that the last 20 minutes of each tryout session will be an optional information session for the parents and their student. Current fifth graders who received a letter inviting them to tryout or who were in the Mathletics program last year; please register by clicking here: 5th grade registration. 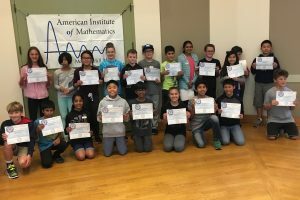 AIM coaches run a program that allows local students to participate in the national Math Olympiad contest. During each of five once-a-month sessions, students take a five question, thirty minute, Math Olympiad quiz, with the instructor reviewing the problem solutions during the remaining half hour of class. Sample quizzes can be found at www.moems.org. The Elementary School Division is for 4th through 6th graders while the Middle School Division is for 6th through 8th graders. Our 2019-2020 program will start in November 2019 and end in March 2020. Select students from our Mathletics, MathCounts6 and MATHCOUNTS programs will be invited to attend based on the outstanding interest, capacity and behavior that they demonstrate in our fall programs. This is a national middle school competitive math program. Students focus on complex problems, methodologies and challenging the mind. Advanced problem solving techniques are tested at School, Chapter, State, and National competitions. Please see www.mathcounts.org for more information about the national MATHCOUNTS organization. 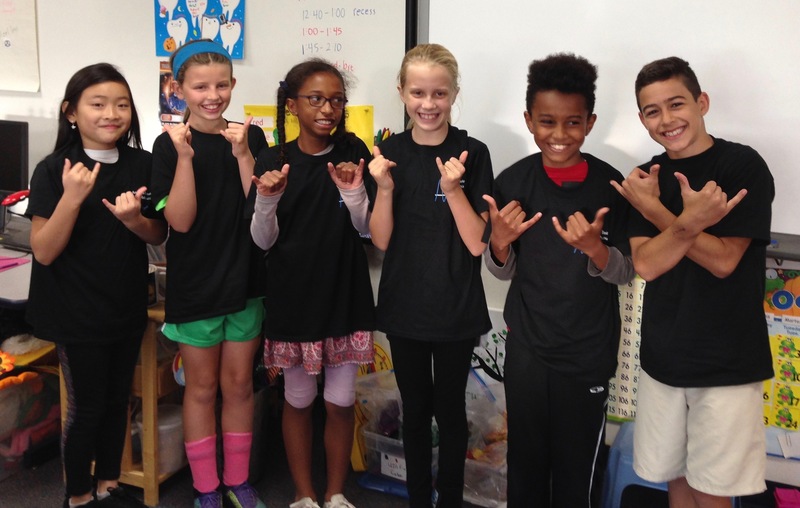 AIM has provided MATHCOUNTS coaches for Morgan Hill’s students enrolled in 7th and 8th grades since 2004. Students participate in a weekly program starting in September. In January, a subset of students from each school is selected to train for, and participate in, the Chapter competition in February. 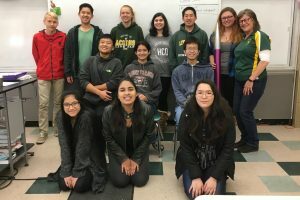 Teams and students excelling at the Chapter competition may advance to the subsequent Northern California State competition. For the past twelve years, Morgan Hill teams and/or individual students have advanced to the State MATHCOUNTS competition. AIM also provides students the opportunity to compete in another national math competition, the AMC8, produced by the Mathematical Association of America (see www.maa.org). Participation in MATHCOUNTS puts the middle school student on a firm footing for both the near future (such as excelling on the math section of the SAT) and for longer term goals, including being successful in the many fields of study where problem solving is key. Seventh and eighth grade students who live or attend school in Morgan Hill and are strong math students are invited to attend this free, challenging program. If you are interested in the 2019-2020 competition season, please register your student. You will be notified via email as more information becomes available. At the high school level, the students are the leaders, establishing a math honors society, Mu Alpha Theta, at Live Oak, Sobrato and GECA. Club activities include mentoring of younger students (by becoming MATHCOUNTS competition coaches), having speakers on fun math topics and optionally, participating in high school competitions, including taking the AMC10 or AMC12 (www.amc.maa.org) and BAMO (www.bamo.org). In the past, several high school students have scored in the top 5% in the nation and thus have been invited to participate in the prestigious American Invitational Mathematics Examination (AIME). College mentoring for UC’s and beyond is also an element of these clubs. If you are interested, please register here. You will be contacted by the club advisor at your school, once the math club starts. 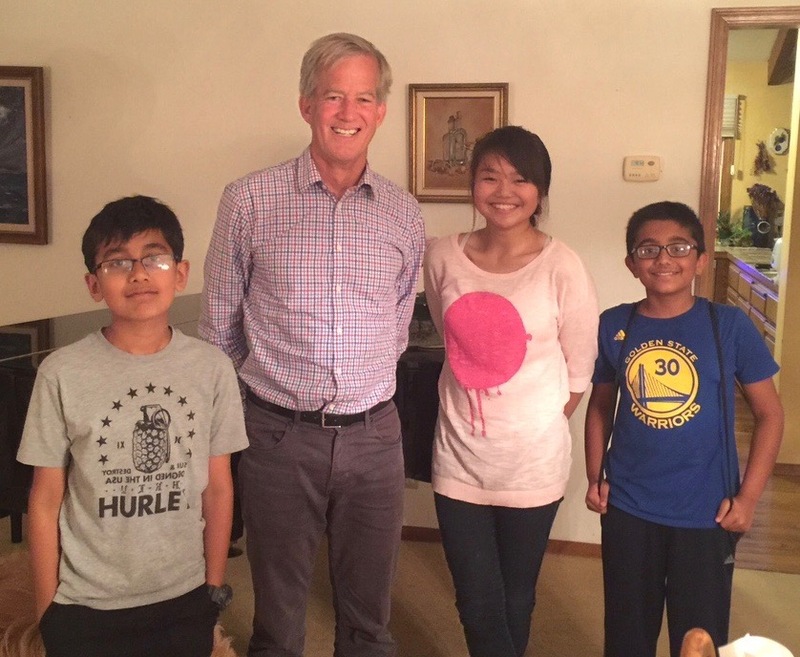 Dr. Brian Conrey, Executive Director of AIM, provides several seminars for middle and high school students each year, designed to challenge top Morgan Hill students. 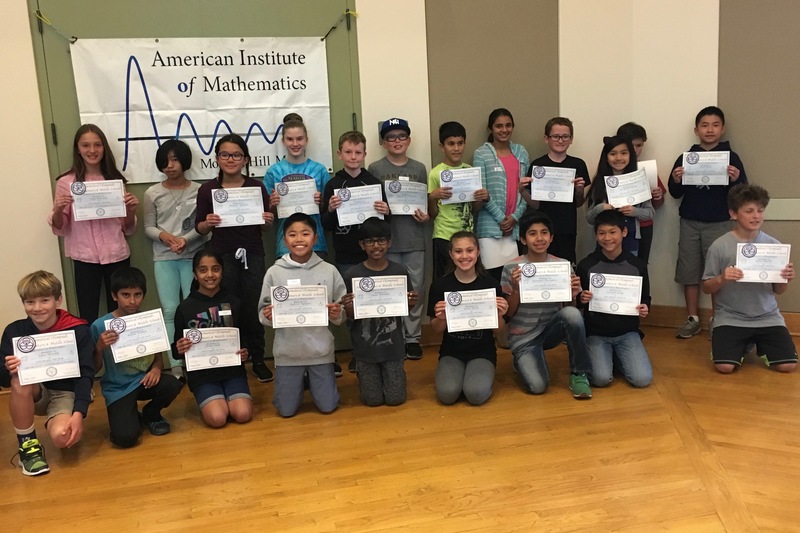 Participation in the Director’s Circle is by personal invitation, with preference given to exceptional Morgan Hill students who are long time participants in AIM’s Morgan Hill Math programs.